A new touchscreen display has been introduced that can be used as a digital whiteboard in smaller classrooms or meeting spaces. 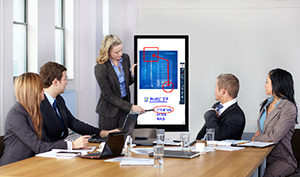 InFocus's new DigiEasel is a 40-inch, 1080p-resolution, 10-point touchscreen that can be used for demonstrations and to record discussion and class notes. For more information, visit the InFocus site.